The discovery of the Higgs Particle was chosen as the scientific breakthrough of the year by the American Association for the Advancement of Science (AAAS). The announcement was made in Melbourne, Australia at the opening of the 2012 International Conference on High Energy Physics (ICHEP). The European Organization for Nuclear Research (CERN) announced its discovery of the Higgs particle in early July 2012. This discovery capped decades of research and hardwork in finding the elusive particle. The American Association for the Advancement of Science (AAAS) is the world's largest general scientific society. The AAAS is affiliated with 261 societies and serves around 10 million members. 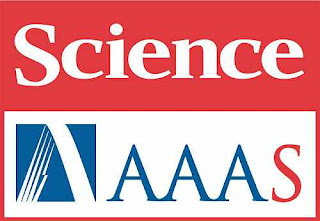 The AAAS publishes the journals Science, Translational Medicine and Science Signaling. The peer reviewed journal, Science, has over 1 million readers and has the largest paid circulation of the world. The mission of AAAS is to "advance science and serve society" through initiatives in science policy; international programs; science education; and more. The observation of an elusive sub-atomic particle, known as the Higgs boson, has been heralded by the journal Science as the most important scientific discovery of 2012. This particle, which was first hypothesized more than 40 years ago, holds the key to explaining how other elementary particles (those that aren't made up of smaller particles), such as electrons and quarks, get their mass. In addition to recognizing the detection of this particle as the 2012 Breakthrough of the Year, Science and its international nonprofit publisher, AAAS, have identified nine other groundbreaking scientific achievements from the past year and compiled them into a top 10 list that will appear in the 21 December issue. Researchers unveiled evidence of the Higgs boson on 4 July, fitting into place the last missing piece of a puzzle that physicists call the standard model of particle physics. This theory explains how particles interact via electromagnetic forces, weak nuclear forces and strong nuclear forces in order to make up matter in the universe. However, until this year, researchers could not explain how the elementary particles involved got their mass. "Simply assigning masses to the particles makes the theory go haywire mathematically," explained Science news correspondent Adrian Cho, who wrote about the discovery for the journal's Breakthrough of the Year feature. "So, mass must somehow emerge from interactions of the otherwise mass-less particles themselves. That's where the Higgs comes in." As Cho explains, physicists assume that space is filled by a "Higgs field," which is similar to an electric field. Particles interact with this Higgs field to obtain energy and—thanks to Einstein's famous mass-energy equivalence—mass as well. "Just as an electric field consists of particles called photons, the Higgs field consists of Higgs bosons woven into the vacuum," he explains. "Physicists have now blasted them out of the vacuum and into brief existence." But, a view to the Higgs boson did not come easy—or cheap. Thousands of researchers working with a 5.5-billion-dollar atom-smasher at a particle physics laboratory near Geneva, Switzerland, called CERN, used two gargantuan particle detectors, known as ATLAS and CMS, to spot the long-sought boson. It is unclear where this discovery will lead the field of particle physics in the future but its impact on the physics community this year has been undeniable, which is why Science calls the detection of the Higgs boson the 2012 Breakthrough of the Year. The special 21 December issue of the journal includes three articles written by researchers at CERN, which help to explain how this breakthrough was achieved. Science's list of nine other pioneering scientific achievements from 2012 follows. The Denisovan Genome: A new technique that binds special molecules to single strands of DNA allowed researchers to sequence the complete Denisovan genome from just a fragment of bone from an ancient pinky finger. The genomic sequence has allowed researchers to compare Denisovans—archaic humans closely related to Neandertals—with modern humans. It also revealed that the finger bone belonged to a girl with brown eyes, brown hair and brown skin who died in Siberia between 74,000 and 82,000 years ago. Making Eggs From Stem Cells: Japanese researchers showed that embryonic stem cells from mice could be coaxed into becoming viable egg cells. They clinched the case when the cells, fertilized by sperm in the laboratory, developed into live mouse pups born of surrogate mothers. The method requires female mice to host the developing eggs in their bodies for a time, so it falls short of scientists' ultimate goal: deriving egg cells entirely in the laboratory. But, it provides a powerful tool for studying genes and other factors that influence fertility and egg cell development. Curiosity's Landing System: Though unable to test their rover's entire landing system under Martian conditions, mission engineers at NASA's Jet Propulsion Laboratory in Pasadena, California, safely and precisely placed the Curiosity rover on the surface of Mars. The 3.3-ton rover entry vehicle was too massive for traditional landings, so the team took inspiration from cranes and helicopters to create a "sky crane" landing system that dangled Curiosity, wheels deployed, at the end of three cables. The flawless landing reassured planners that NASA could someday land a second mission near an earlier rover to pick up samples the rover collected and return them to Earth. X-ray Laser Provides Protein Structure: Researchers used an X-ray laser, which shines a billion times brighter than traditional synchrotron sources, to determine the structure of an enzyme required by the Trypanosoma brucei parasite, the cause of African sleeping sickness. The advance demonstrated the potential of X-ray lasers to decipher proteins that conventional X-ray sources cannot. Precision Engineering of Genomes: The revision and deletion of DNA in higher organisms has generally been a hit-or-miss proposition. But, in 2012, a tool known as TALENs, which stands for "transcription activator-like effector nucleases," gave researchers the ability to alter or inactivate specific genes in zebrafish, toads, livestock and other animals—even cells from patients with disease. This technology, along with others that are emerging, is proving to be just as effective as (and cheaper than) established gene-targeting techniques, and it may allow researchers to determine specific roles for genes and mutations in both healthy and diseased individuals. Majorana Fermions: The existence of Majorana fermions, particles that (among other properties) act as their own antimatter and annihilate themselves, has been debated for more than seven decades. This year, a team of physicists and chemists in The Netherlands provided the first solid evidence that such exotic matter exists, in the form of quasi-particles: groups of interacting electrons that behave like single particles. The discovery has already prompted efforts to incorporate Majorana fermions into quantum computing, as scientists think "qubits" made of these mysterious particles could be more efficient at storing and processing data than the bits currently used in digital computers. The ENCODE Project: A decade-long study that was reported this year in more than 30 papers revealed that the human genome is more "functional" than researchers had believed. Although only two percent of the genome codes for actual proteins, the Encyclopedia of DNA Elements, or ENCODE, project indicated that about 80 percent of the genome is active, helping to turn genes on or off, for example. These new details should help researchers to understand the ways in which genes are controlled and to clarify some genetic risk factors for diseases. Brain-Machine Interfaces: The same team that had previously demonstrated how neural recordings from the brain could be used to move a cursor on a computer screen showed in 2012 that paralyzed human patients could move a mechanical arm with their minds and perform complex movements in three dimensions. The technology is still experimental—and extraordinarily expensive—but scientists are hopeful that more advanced algorithms could improve these neural prosthetics to help patients paralyzed by strokes, spinal injuries and other conditions. Neutrino Mixing Angle: Hundreds of researchers working on the Daya Bay Reactor Neutrino Experiment in China reported the last unknown parameter of a model that describes how elusive particles, known as neutrinos, morph from one type or "flavor" to another as they travel at near-light speed. The results show that neutrinos and anti-neutrinos could possibly change flavors differently and suggest that neutrino physics may someday help researchers to explain why the universe contains so much matter and so little antimatter. If physicists cannot identify new particles beyond the Higgs boson, neutrino physics could represent the future of particle physics.